EUROMED horse chestnut extract is a standardized herbal extract of the seeds of Aesculus hippocastanum L. (Fam. Hippocastanaceae), a tree widely distributed throughout the temperate zones of Europe and Asia. 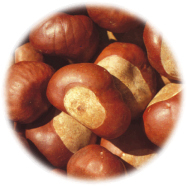 Horse chestnut extract contains starch, proteins, triterpensaponins, fatty oil, cellulose and flavonolglycosides. Triterpene saponins of the dieter of the ß-amyrine-type form a complex mixture of B-escin, kryptoaescin, ∞-escin (a mixture of ß-escin and kryptoaescin) and escaroles. Furthermore, flavonolglycosides have been detected in the drug. The most important active ingredients are the triterpene saponins. Particular attention should be pais to -escin as it is mediating the antiexsudative effect of horse chestnut extract. Another compound of interest is pronthocyanidin A2, a dimeric procyanidine arising from the condensation of monomeric flavanols, which has been found to be a strong inhibitor of oxidative activity. Extract of horse chestnut are used in the treatment of chronic venous insufficiency (CVI) stage I and stage IIIa caused by various conditions (e.g. postthrombotic syndrome). It is also recommended for the treatment of inflammatory edema after minor injuries. The therapy with horse chestnut offers protection against leg edema and venous ulcers, relief of inflammatory an non-inflammatory edema as well as cramps of the legs. Subjective symptoms such as pruritus, pain and feeling of heaviness in the legs are also improved. Horse chestnut extract is generally well tolerated. Side-effects are rare when the standardized extract is taken. In excepcional cases mild gastric symptoms may occur. In these cases, it is advisable to take the preparation with the meals. 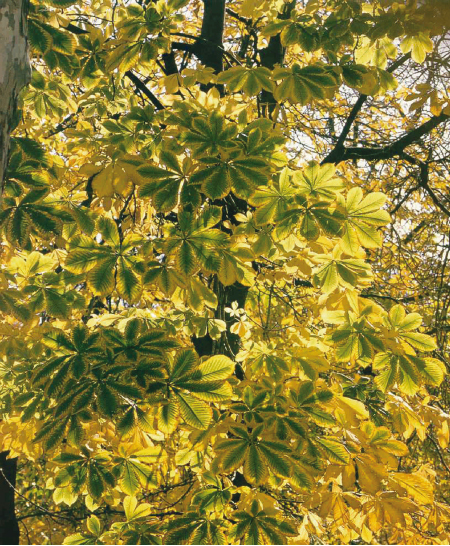 Horse chestnut extract should be used with caution in edemas no due to CVI. There are no known contradictions to the long-term use of horse chestnut extract. There are no known interactions with drugs usually prescribed. Horse chestnut extract is notable for its particularly high level of clinical safety.To-date acute cases of horse chestnut extract poisoning have not been reported.